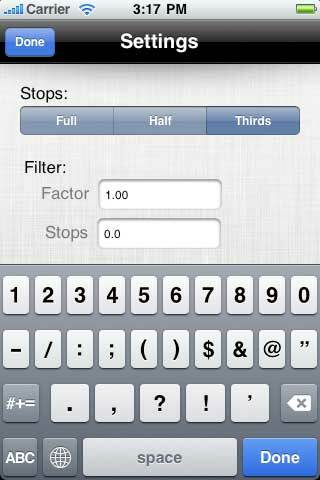 With LightMeter you can turn your iPhone 3G-S into a simple exposure meter. LightMeter makes use of the new auto focus camera built into the iPhone 3G-S to determine the exposure of any scene you capture. Simply start LightMeter, take a photo and read the exposure for that scene from the exposure dial. It really is as easy as that. After you took a picture of the scene using LightMeter, you will get back to the "Exposure Dial"-View you know from PhotoBuddy. The dial will be preset with the measured exposure. Underneath the dial you'll see exposure value for your photo. Select any value ou would like to keep fixed on the selector underneath the dial and change the other settings to your liking. The value (iso, shutter or f-stop) you just selected will be recalculated to preserve the exposure you just measured. LightMeter will measure correct for settings between +3EV and +16EV. This is due to the capabilities of the built in camera. Other than that, there are no limits. 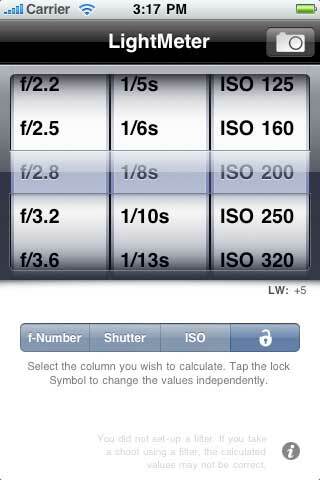 LightMeter uses the complete image captured by the iPhone camera to determine the exposure. If you want to take a portrait for example, you should take a close up of the eyes of your model and nothing else. 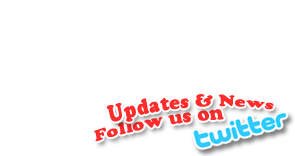 Make sure no lights or dark spots are visible in the background. That way LightMeter does not get confused and calculate the exposure for the face. If you attach a filter to your camera, you probably want to receive measurements that take the darkening of that filter into account. Before you measure your scene with LightMeter, you should open the info screen and set up the correct filter values. Whenever you measure a scene, those filter settings are applied to all measured values.